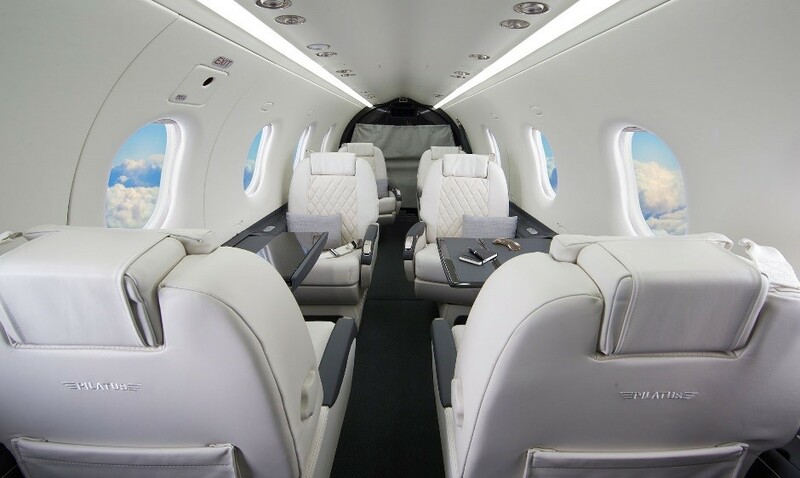 Davis Junction, IL March 15, 2018 Skandia, Incorporated has engineered, installed and tested a new acoustic soundproofing kit for the Bombardier Global 5000 jet. The kit delivers an exceptional cabin experience, reducing overall dB(SIL) levels significantly with minimal weight penalty. Skandia is working toward STC approval in 2018. The remarkable acoustic qualities of the Skandia soundproofing system were engineered, manufactured, installed and tested by Skandia representatives. The available kit is provided as turnkey with installation schematics and instructions for a straightforward install process. This latest soundproofing kit from Skandia adds to the list of over 80 airframe-specific soundproofing kits available. 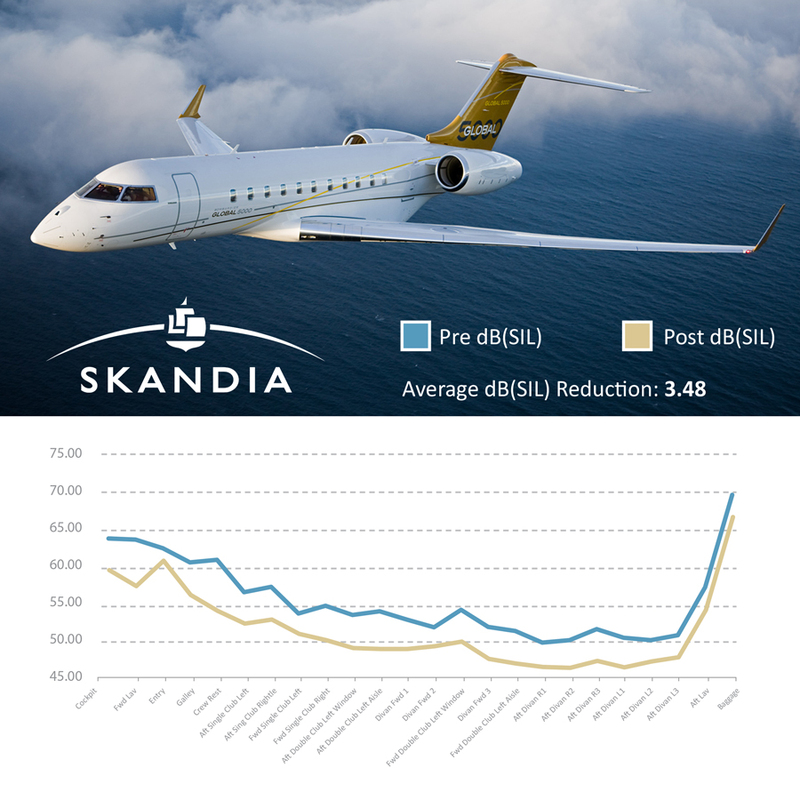 For nearly 35 years, Skandia has been engineering soundproofing improvements for a wide variety of aircraft; offering turnkey acoustic solutions from piston to turboprop to jet…all the way up to Boeing and Airbus including the newest Boeing 737 Max and 787. A single source provider, Skandia designs and manufactures its own product line of acoustic materials for their soundproofing kits. 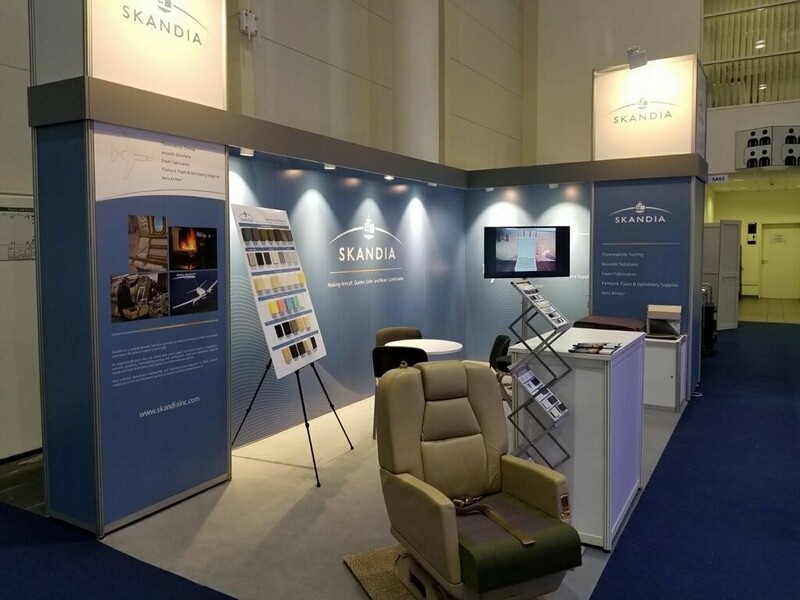 Consultation and custom acoustic solutions for individual aircraft of any size are an area of specialization for Skandia.